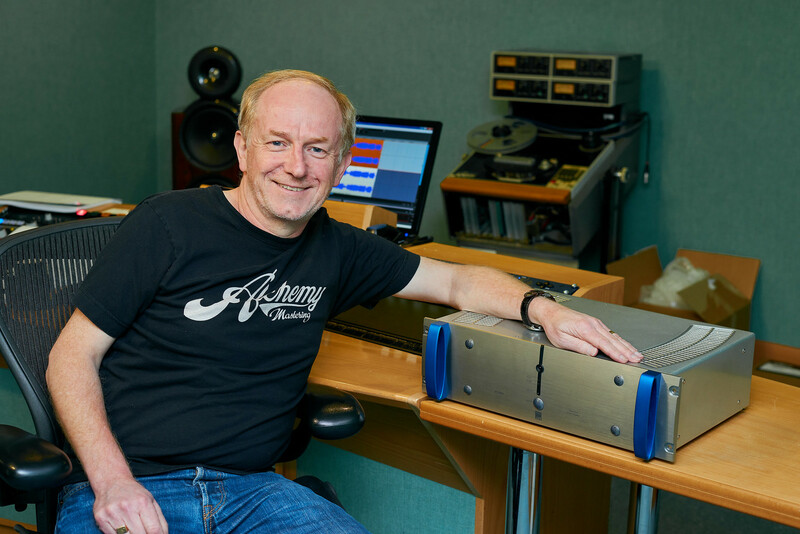 Mastering engineer extraordinaire Barry Grint gets ATC P2 PRO in on the Alchemy act. – Alchemy Mastering Founder & Director Barry Grint, 2017. The bright-eared Barry Grint was quick off the mark in making his mastering mark. 1984 alone saw his mastering mojo working wonderfully on classic vinyl singles for Duran Duran (‘The Wilds Boys’), Foreigner (‘I Want To Know What Love Is’), Madonna (‘Like A Virgin’), Van Halen (‘Jump’), and ZZ Top (‘Gimme All Your Lovin’’). Thereafter, things went seriously stratospheric as Barry Grint went on to work with a roll call of rock and pop greats such as Bon Jovi, David Bowie, Paul McCartney, Oasis, Prince, The Beatles, and The Rolling Stones, to list but a few notable names. Speaking of names, the master(ing) craftsman identified his vinyl work by etching ‘Bazza’ in the run out-groove with various incarnations including Bazza @ Abbey Road, Bazza @ Tape One, Bazza @ Porky’s putting in an appearance throughout the years. Yet Barry Grint has witnessed a lot of industry changes — technological or otherwise — in a celebrated career spanning five distinctive decades. Given his mastering pedigree, perhaps it was inevitable that he would one day become a master of his own destiny at Alchemy Mastering in Soho, which went on to become one of the UK’s foremost mastering facilities before leasing issues at its ‘high-flying’ Centre Point office tower London location left its founder rethinking and, ultimately, relocating somewhat closer to terra firma. Its current location in an elegant West London mews houses three acoustically-tuned studios with natural daylight designed by the three ‘Alchemists’ — Barry Grint and fellow Directors Matt Colton and Phil Kinrade — themselves, each equipped with full-range monitoring systems and a wide range of vintage and cutting-edge high-end analogue and digital hardware and software processors, perfect for pursuing their sought-after craft. “We all react to what’s coming out of the speakers, and we make our judgements based on how that sounds in the room,” Matt Colton claimed, soon after receiving the coveted Music Producers Guild Mastering Engineer of the Year award in 2013.